Tummy Tuck Procedure By Dr Lanzer - Read On Facts Here! How Does a Tummy Tuck Procedure Work? Patients considering a tummy tuck procedure are often left with some questions. It is important that these questions are answered before a liposuction or lipo tummy tuck, so the Dr Lanzer Clinic aims to provide as much information as possible to patients. If you have been curious about the process involved with a lipo tummy tuck, please read the information provided by the Dr Lanzer Clinic below. What Does a Surgeon Do During a Lipo Tummy Tuck? During a lipo tummy tuck, the surgeon can remove excess fat and skin. 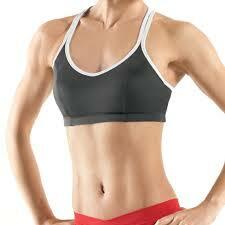 He can also tighten the abdominal muscles, which could result in a flatter and more athletic abdomen. Of course, results vary from patient to patient, but also by the techniques used by the cosmetic surgeon. Depending on the needs of the patient, the surgeon could execute a partial lipo tummy tuck or a full lipo tummy tuck. Naturally, the techniques used to execute a partial tummy tuck are different from a full liposuction tummy tuck. The liposuction tuck always starts with a tumescent liposuction. Dr Lanzer has performed thousands of these liposuction operations and believes it makes the next step of the tuck much easier. During a partial liposuction tummy tuck, the surgeon will make a large incision along the abdomen. Then, the skin is separated from the abdominal wall, right below the belly button; this allows the surgeon to get easier access to the fat. Then, the fat is removed and excess skin is cut away and the remaining skin pulled together. A full tummy tuck happens somewhat similar, but there are some minor differences. Firstly, the surgeon makes an incision across the lower abdomen, right above the pubic area. The surgeon also makes a second incision to remove the belly button from its surrounding tissue. Then, the skin is separated from the abdominal wall and excess fat and skin are removed. Then, the surgeon cuts a new hole for the belly button and stitches it back into place. Lastly, the remaining skin is pulled together and stitched into place. What Should I Know About the Recovery from a Tummy Tuck Procedure? The recovery from a tummy tuck procedure is different for everyone, because the recovery depends on the techniques used by the surgeon and the speed in which the patient heals. Therefore, be sure to take plenty of time to recover during your recovery. Before you have your procedure, it is recommended to prepare your home for the recovery. It is also recommended to read through all the information that has been given to you by the clinic, since it can be a lot to remember at the time. Discover Tummy Tuck Procedure Advantages! An increasingly large amount of patients now opt for tummy tuck procedure. A consultation will be both with himself and then with his fully qualified nurses. Dr Lanzer also has personal assistants who are happy to discuss the tummy tuck cost over the telephone or via the internet. How Do I Prepare My Home for the Recovery? Preparing your home for your recovery is a smart idea, because you are going to need some rest as soon as you come back from our clinic. The main things to consider when preparing your home for your recovery are convenience, comfort and hygiene. Before you leave for your procedure, make sure that the bed you will be resting in has fresh sheets and pillows. Even though the treatment area will be wrapped in bandages or compression garments, dirty sheets and pillows do increase the chances of complications such as infection. Therefore, make sure your bed and your home are hygienic before you leave. If you intend to rest on the sofa too, make sure to give the sofa a clean before you go for your procedure. You can hoover the sofa to make sure there is not any dirt present on it, but there are also anti-bacterial sprays that could eliminate bacteria from the area and make it safer for you during your recovery. What Side-Effects Can I Expect During My Recovery from a Tummy Tuck? Shortly after a tummy tuck procedure, most patients will experience some side-effects. Common side-effects after a tummy tuck procedure include difficulty standing up, pain, bruising, numbness on and around the treatment area, swelling and raised scarring. Even though these side-effects are a part of your recovery, it is important to keep a good eye on side-effects and how they are developing. If you notice something unusual during your recovery, it is essential to call your surgeon immediately for some advice or an emergency appointment. Even if it is nothing, it is better to be safe than sorry. What Should I Look Out for During My Recovery? As we mentioned briefly earlier, complications are always a possibility after surgery. Even though cosmetic surgeons aim to keep procedures and recovery as safe as possible for patients, there is never a guarantee that nothing will go wrong. Therefore, we advise patients to look out for complications during their recovery. There are some things that could go wrong during the recovery process after a tummy tuck; this includes thick scarring, bulges underneath the skin, extra skin at the edges of a scar, wounds not healing, fluid accumulation, blood accumulation, constant numbness, cramping and breathing problems. If you notice any of these problems, please contact your surgeon for an appointment immediately. Even though rare, every surgical procedure can lead to more serious complications. These complications could include excessive bleeding, the formation of a blood clot, infection and an allergic reaction to anaesthetics. If you believe you might be suffering from any of these complications, contact Dr Lanzer on the pager. If that for some unusual reason does not work, then head to your nearest emergency room as soon as possible. Surgeons and clinics will do their best to inform patients about possible complications and how to spot them early, just like what would happen in a hospital before a medical procedure. Therefore, it is essential to read the information you are given before the procedure, so you can react appropriately and quickly once you’ve had your tummy tuck. Where Can I Find More Information About the Lipo Tummy Tuck? The Dr Lanzer Clinic website has several information pages about the lipo tummy tuck, where you can find more details about this procedure and its aftercare. However, patients can also make an appointment at the Dr Lanzer Clinic and get some information that applies to them. Alternatively, patients can request more information about a certain procedure via telephone or email.